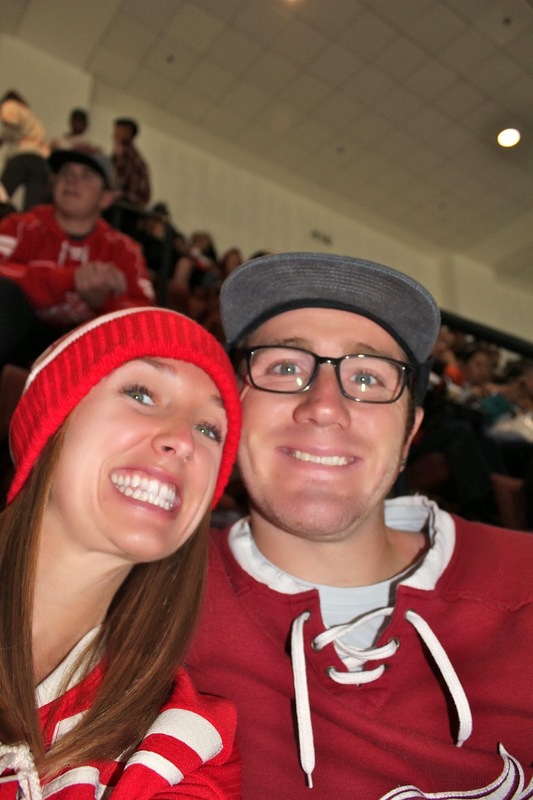 Last night Ryan and I went to the Red Wings game. Although the Wings lost, we still had a good time. 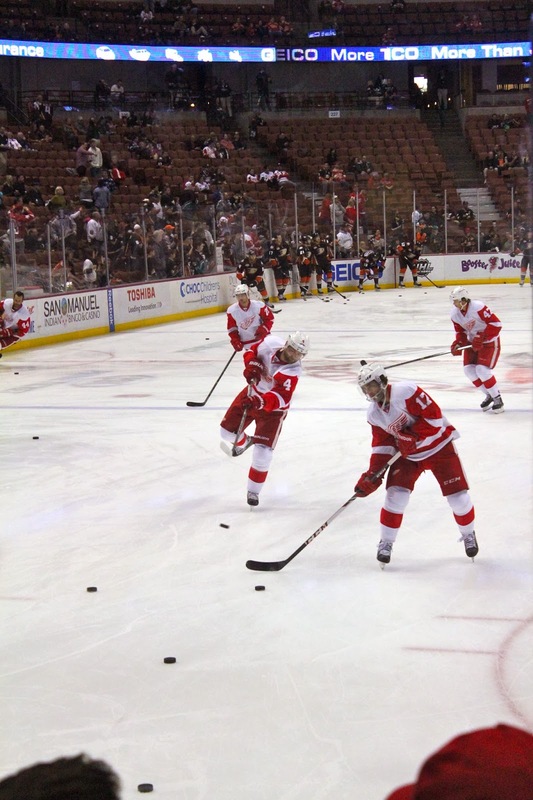 When we got to the Honda Center the teams were both shooting around and warming up. 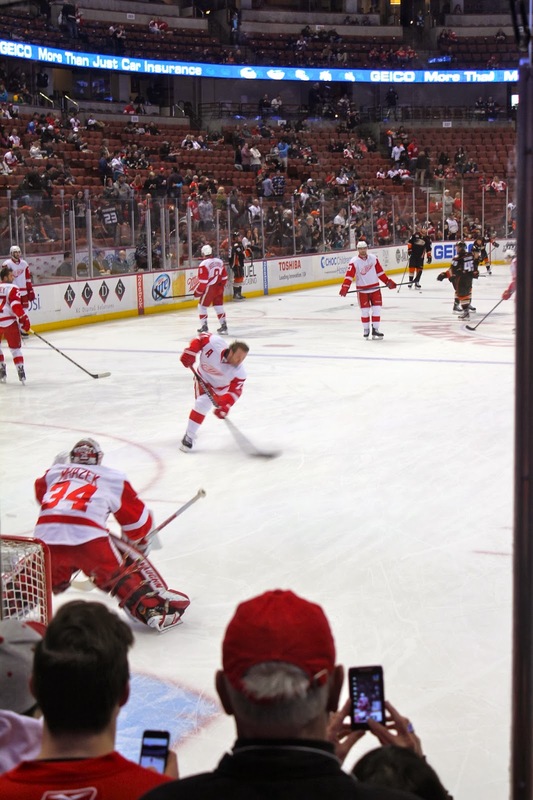 We were able to go right down to the ice and watch everything up close and personal (we stood behind the goal for most of the warm-up). It was awesome being that close to the action - maybe one day we will be able to get seats that close for a game :). 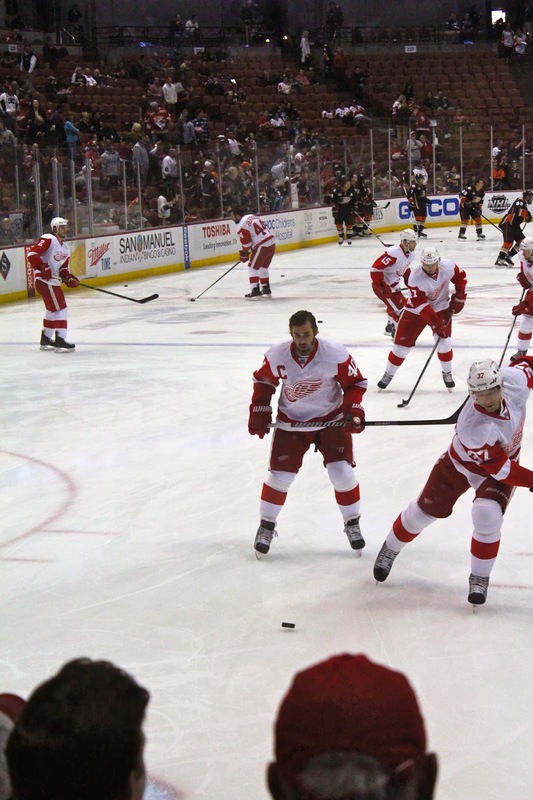 Of course we would have LOVED to see the Wings skate away with a W, but anytime we see them in person we enjoy ourselves!